Yes, you can write a novel in 30 days. Thousands of people across the globe go for it every year during National Novel Writing Month, also known as NaNoWriMo. NaNo is held every November 1st through the 30th. If you write just 1,667 words each day, you win the challenge of writing 50,000 words in a month. At the end of 30 days, you’ll have a rough, first draft of a book. No, it won’t be perfect, but it will be written! National Novel Writing Month is free and run by a 501(c)(3) nonprofit organization. Getting to the 50K word count is done on the honor system. So it’s a personal challenge for every participant. September/October marks the NaNo Prep season, meaning writers start thinking about the characters and the story they want to write. They start work on an outline, research or a sketch (literally) of what they want to do come November. Click the link to find more details about preparing for NaNo. This public swap is to introduce would-be, “someday I’m going to write a book,” “I have a great idea” and the up-for-a- challenge folks on Swap-bot to come join us in the NaNoWriMo Swapping group. Each year we have a variety of preparation swaps, reward swaps, writing challenges and even a Cyber Write-in that takes place right here on the Swap-bot site. 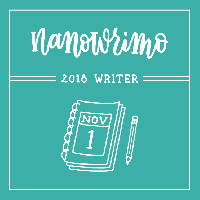 Join the NaNoWriMo Swapping group for inspiration and support on the journey. Current group members: Feel free to join the swap as well. Newbies are welcome to join this swap and the group! But if you’re a rated swapper, no recent 1s or 3s are permitted. Partners are assigned. Let's get swapping! A letter is dropped in the box for a.m. pickup out to my partner. Enjoy!